When we say 'a room with a view' we mean it! 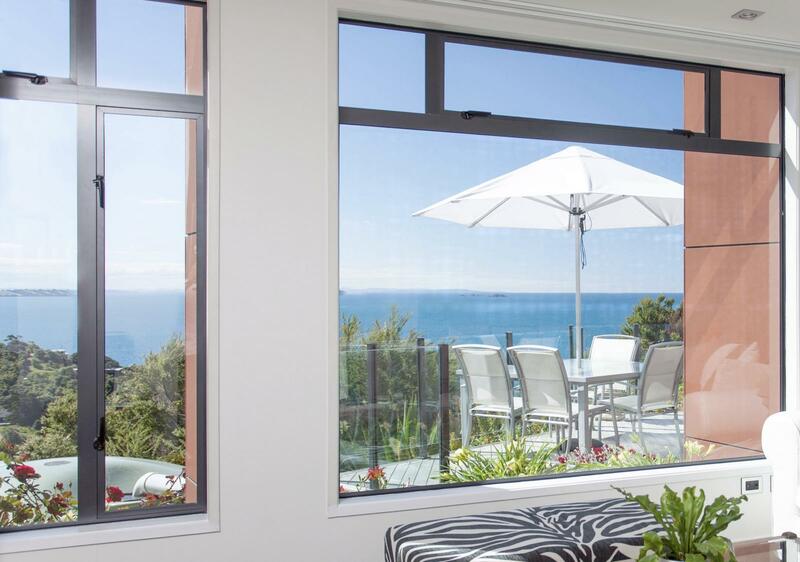 Here on the beautiful, northern coastline of Waiheke Island, between Little Oneroa and Palm Beach, Enclosure Bay is a modern, luxury, architecturally designed, accommodation - with views too vast to capture. 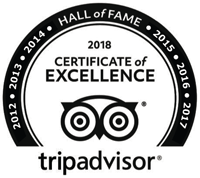 We have two luxury one bedroom suites and a King bedded hotel styled room – all with private decks, air conditioning and facilities you would expect. 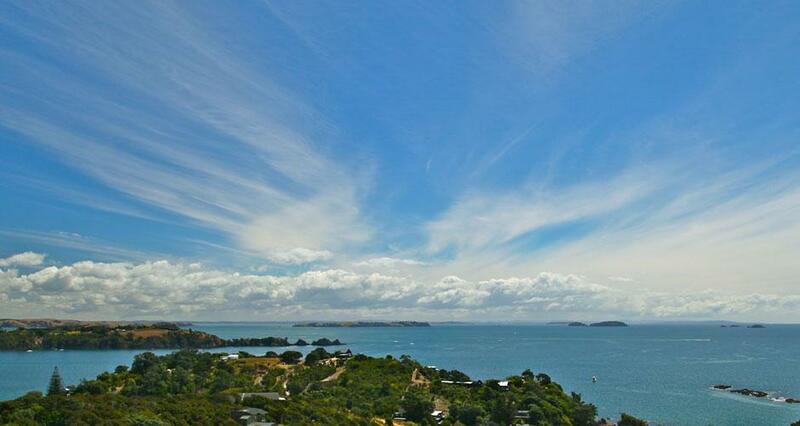 Located just a 35 minute, ferry ride from downtown Auckland, (a few minutes longer on the car ferry), Waiheke Island is a tranquil, beautiful jewel in Auckland’s Hauraki Gulf. 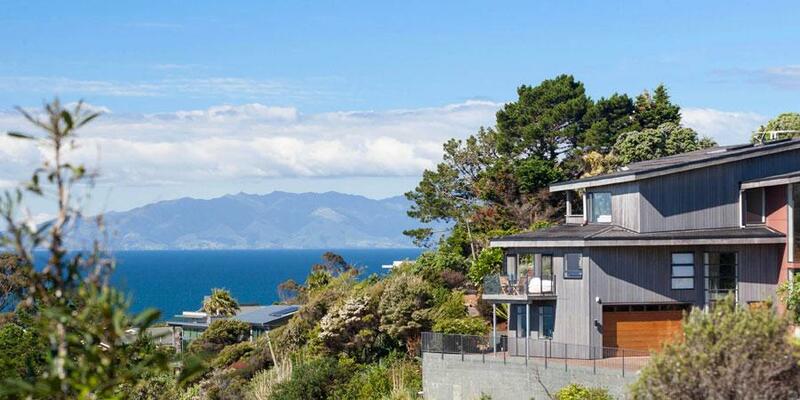 A five minute drive from the ferry terminal at Matiatia will bring you to Enclosure Bay. 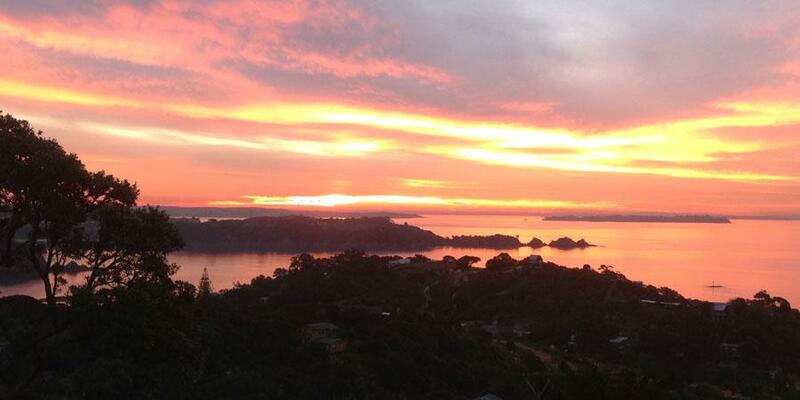 Waiheke is renowned for its beautiful beaches and scenery, its vineyards, olive groves and native reserves with great walking tracks. The island is justly proud of its many excellent restaurants and cafes. 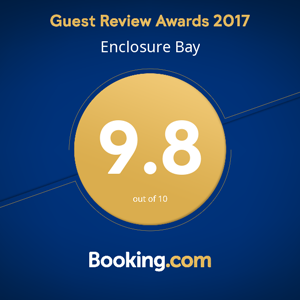 The luxury accommodation at Enclosure Bay is the ideal haven, where for a while, you can exchange the ‘every day’, for something special. 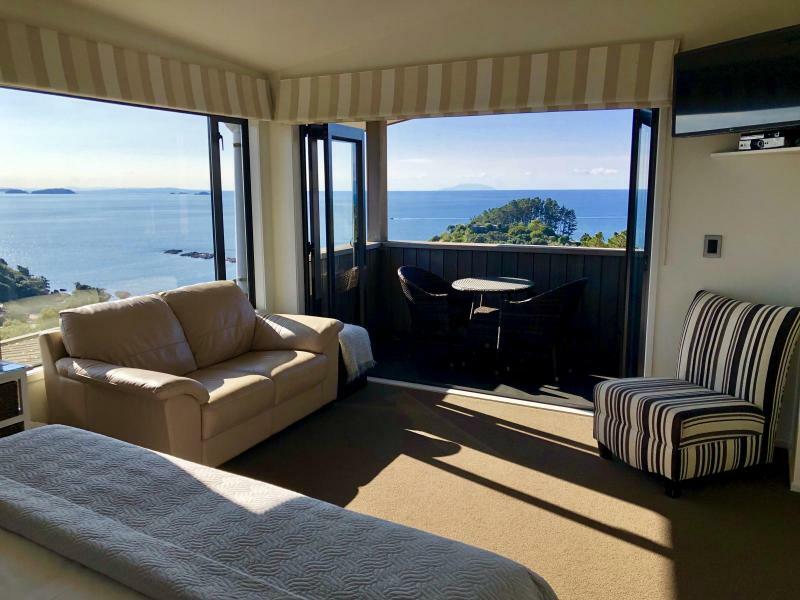 Perfect for a honeymoon or anniversary celebration; luxury stay on Waiheke Island, weekend breaks or just some timely R & R.
We enjoy a wonderful setting, capturing the sun all day and providing panoramic views of the Hauraki Gulf and its islands. 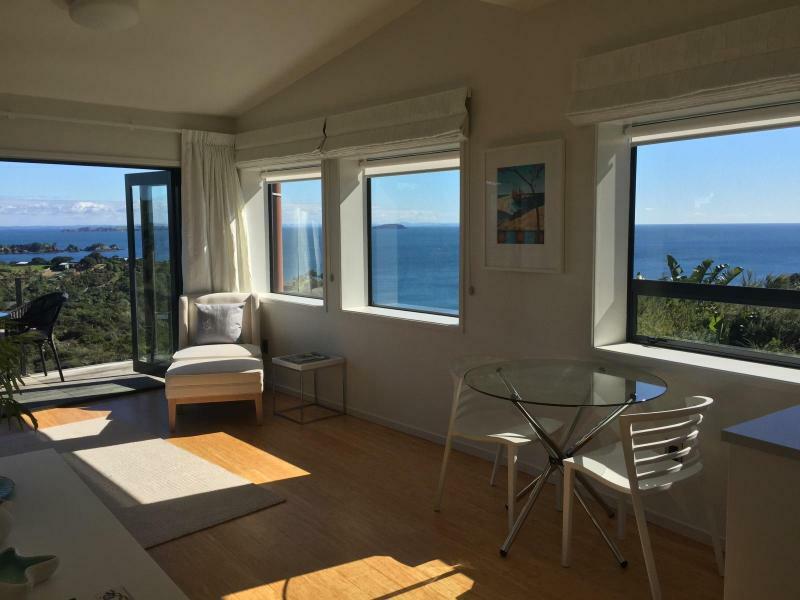 Uninterrupted views out as far as Great Barrier Island and Coromandel Peninsula to the east, Rakino Island, Little Barrier Island and the Noises to the north and the setting sun behind Rangitoto to the west. Your privacy and opportunity to take it easy, refresh and restore, are our priorities. 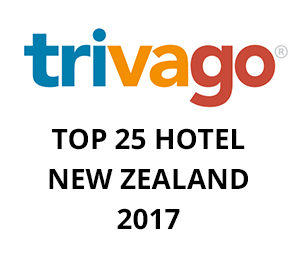 Just click on the 'ROOMS TAB' above, for full descriptions. The 'RATES & BOOKINGS TAB' gives availability, prices plus booking options that include an online secure facility. 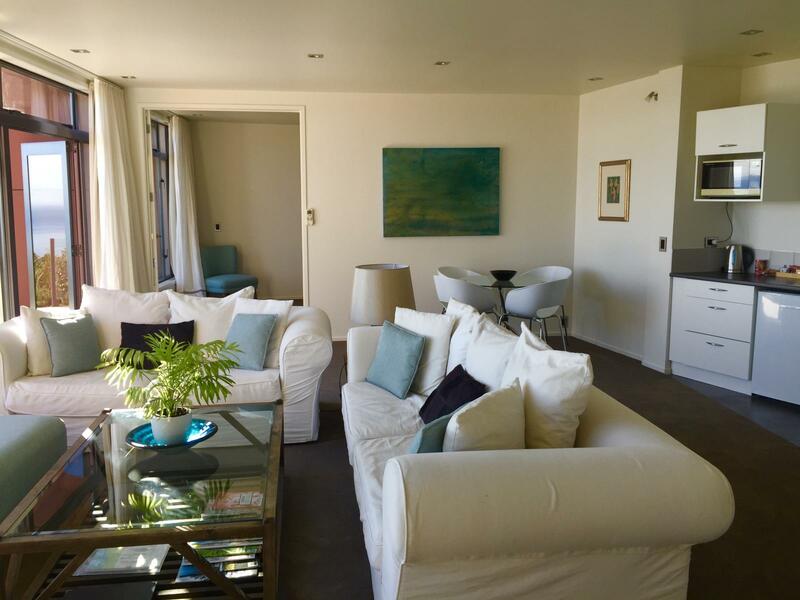 So come to Enclosure Bay, relax, enjoy our luxury Waiheke Island accommodation at our ‘special place’ and watch the varied moods and colours of the Hauraki Gulf and its islands.